The price shown is per player. Enjoy an hour and a half of learning, exercise, fun, and fresh air. 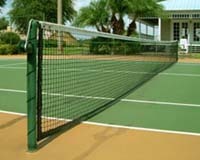 A certified teaching professional will tailor a tennis lesson to the groups' needs and wants. If more than 8 players, a second coach will be available.